If you're looking to make the Kessel Run in less than 12 Parsecs than you're going to need a lightweight backpack for all that space travel... or day hiking. 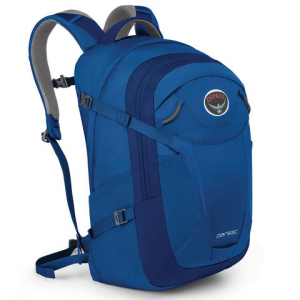 Whichever you prefer, the Osprey Parsec Backpack provides you with plenty of amenities to keep you on the move. It features both laptop and tablet sleeves, internal organization and plenty of pocket space for essentials. Compression straps keep cargo from bouncing around like Tye Fighters in an asteroid field while a front panel stash pouch allows you to stuff and go in an instant.